Best Personal Trainer in Houston TX and World Wide offering many accommodating methods including Gym Trainer, At Home Trainer, Virtual Online Trainer and more to address all of your fitness needs. plus a 30 day "no questions asked" Money back guarantee!!! 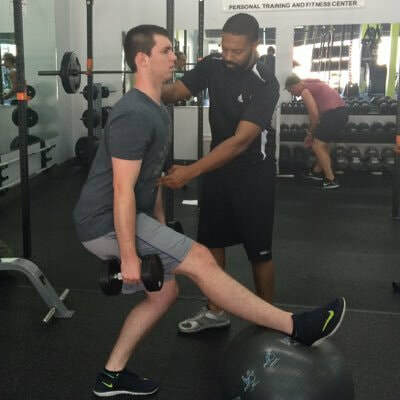 Half Hour or Hour long Personal Trainer sessions customized to your needs, based on thorough assessments, in efforts to safely achieve your fitness goals without injury. Out of the area? I can be your trainer ANYWHERE in the world. With or without Treadmills, Free Weight or other exercise equipment. Weight Loss, Body Building, Overall Wellness, and more Results are Guaranteed! NOTICEABLE RESULTS IN AS EARLY AS 4 WEEKS! “Tony makes me feel very comfortable and I feel confident that with his help and guidance, he will help me reach my goals"
The Best Personal Trainer in Houston or Personal Trainer Near you is located only minutes away!! !